Need a car code reader to save you from car troubles? Now you know that your car can send you messages, what you need is to be able to read them. Just find a good OBD2 code reader and you’re set. The best car code readers is quite affordable and almost immediately you know all the car problem. 1 What is a car code reader? 4 Why Do You Need a Code Reader Or Code Scanner For Your Car? What is a car code reader? An automobile code reader is a handheld device that tells you why your check light is on. Thus, some people may name it as a check engine light reader. This type of car problem scanner helps you to troubleshoot the entire vehicle status. These devices are quite handy because the check engine light only tells you that something is wrong with the car. It doesn’t tell you what the problem is. Only a mechanic or the best car code reader can tell that to you. However, what a code reader can do changes from company to company. This is why you should get your hands on the best car code reader so that you can enjoy as many functionalities as possible. Don’t have enough time to read the whole review? Want to read more about the whole 10 OBD2 Code Readers in the list? Let’s dive into the details now and learn why these are the best Car Code Readers. 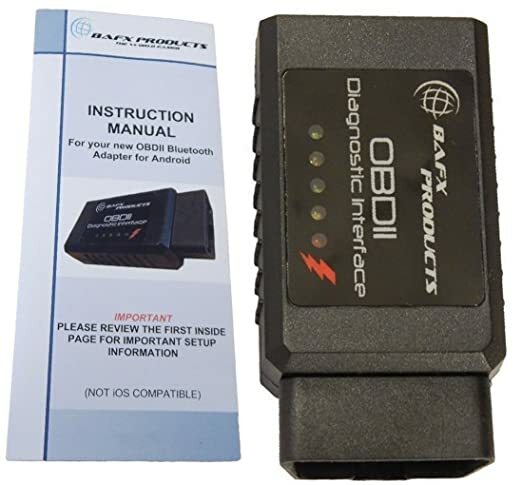 The OBDCheck BLE directly plugs into your vehicle and connects to an OBD II App on your iOS or Android device via Bluetooth. Whenever you have a check engine light on or want to see how your car is performing, the OBDCheck BLE will be a very useful gadget for you. 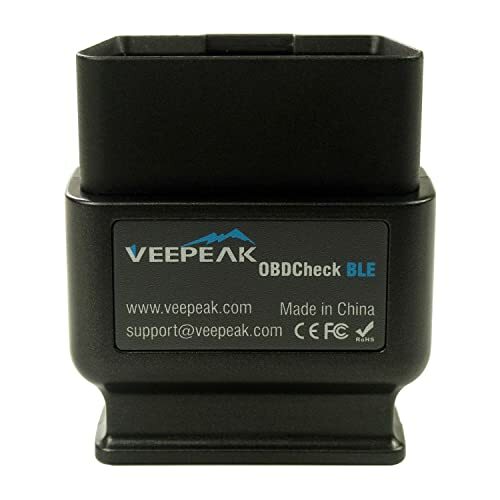 What makes Veepeak OBDCheck BLE the best car code reader is the fact that it works on both iOS and Android devices. 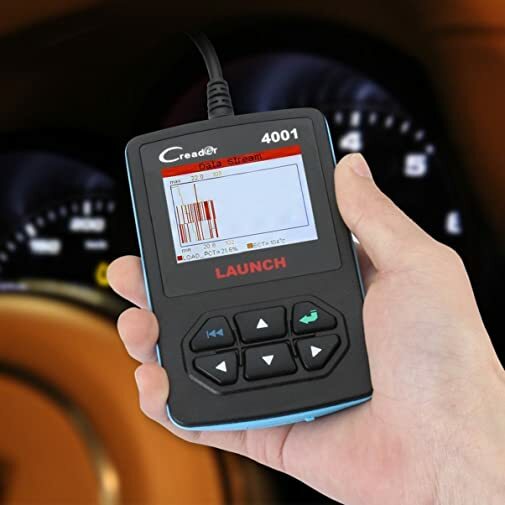 The check engine light reader lets you monitor both basic and advanced codes and connects via Bluetooth. 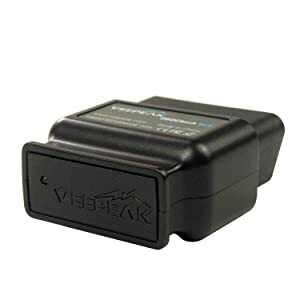 Veepeak Scanner can read basic codes and diagnose issues such as CEL Trouble Codes, Sensor Readings and Graphical Data (live), Freeze Frame Data, Smog Check, Fuel Usage and Route on a Live Map. Dashcommand: Read live data, PIDs, engine light diagnostics. 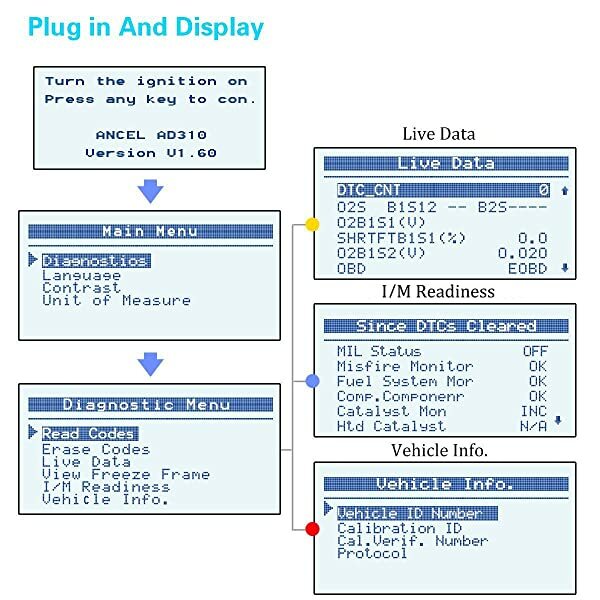 AR Scanner ELC OBD2: Monitor car in real time, read fault codes and sensor data. BimmerCode: Perform coding for BMW. OBD Auto Doctor (Windows-Mac): Check engine lights. Leafspy: Check battery and car performance in Nissan Leaf. Torque Pro (Only Android): Customize and diagnose data, read fault codes and sensor readings. Bluetooth 4.0: It works on Bluetooth 4.0 which uses less power. Veepeak OBDCheck BLE Bluetooth is one of the best car code reader. Supports iOS, Windows, Mac, and Android but must install separate apps to perform different functions. Works on Bluetooth. Note: It only works with car models released in 1996 and after. It supports five major OBDII protocols. Good speed when used with Android. Data download and file transfer can be done via WiFi. Offers both basic and advanced features. Connectivity issues in iPhone (must update to resolve the issue). Speed issues in case of iPhones. 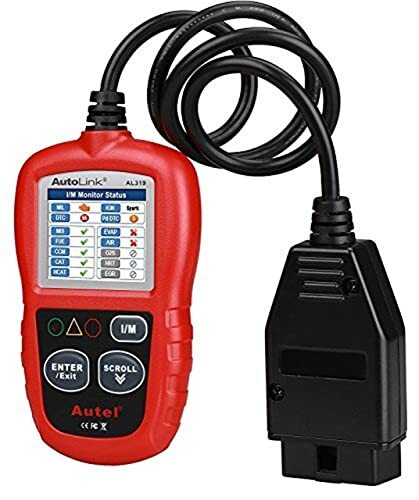 Since this code reader offers both basic and advanced features, it is a good device for car owners, DIYers and mechanics. An affordable corded device that can perform basic functions and also reset ABS and SRS lights. It’s a plug and play device and has no connectivity issues. This OBD2 code reader might not offer many advanced functions but is far better than most devices in this price range. Autel AutoLink AL319 OBD2 code reader offers functions best fit for same price range. This code reader is a good OBD2 code reader for beginners and a plug and play device. It’s quick to diagnose and can fix quite a few engine issues. AL319 offers common basic functions such as Check Engine Light, Clear and Erase Codes, Freeze Frame Data, Monitor and I/M Readiness Status (emissions). It can also read live PCM data stream, show VIN, CIN and CVN. It offers both generic and manufacturer specific codes. To make it easier to understand, DTC definitions are shown on the display. Lets you reset ABS and SRS lights. Simply plug in the cable to the OBD2 connector and you’re good to go. Also, it self-charges when you plug it in so you won’t be needing any charger or battery. Car owners can either read the code or decide to hear it out as both options are available. AL319 with visual and audio messages. This OBD2 code reader supports 1996 and newer OBD2 and CAN vehicles. No phone support. Supports multiple languages – English, French, German, Spanish. Might need a TF card reader to update. Does not work for electric cars. This OBD2 code reader might not offer many advanced functions but is far better than most devices in this price range. This is one of the best cheap car code readers in the market. 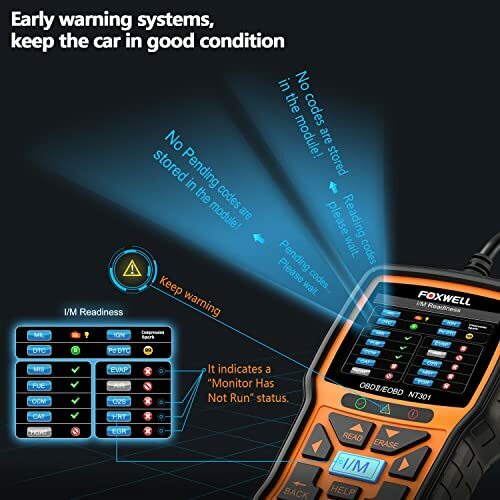 The Foxwell NT301 OBD2 code scanner can read and erase codes which can also retrieve a wealth of information from the Engine Control Unit (ECU). The ECU is what triggers the Check Engine Light when there is a problem with your car. 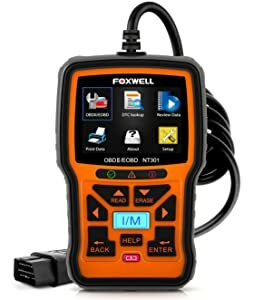 If you want an OBD2 scanner that offers all the basic OBD2 functionalities then pick FOXWELL NT301. This, for many, is the best car code reader. The car error code reader performs engine diagnostics such as I/M readiness, Freeze Frame, Fuel Pressure, Fuel Trim, Engine Coolant Temp, and RPM. Works with all US brands (1996 and newer). Supports all five major protocols as well. There’s no option to connect it to a phone. It uses a wire. Can log and print data. Charges when the ignition is turned on. 1-year money back guarantee and lifetime free updates. Live parameters are shown one at a time only. 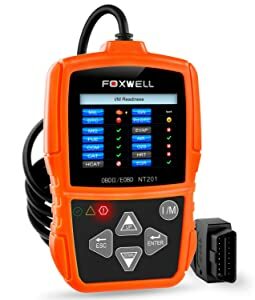 Foxwell NT301 has full features to support your vehicle OBD check. Only for car owners and DIYers because this diagnostic code reader doesn’t offer advanced options. 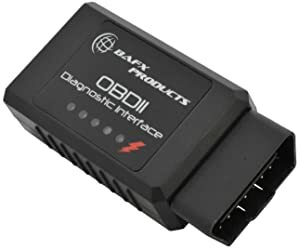 Many similar OBD2 Bluetooth tools CLAIM to work on all vehicles but have problems with the J1850 & CAN protocols however….. the BAFX Products OBD reader actually DOES work on all vehicles & ALL OBD2 protocols! We picked it as the best car code reader on the list because it provides diagnosis and fixes in a blink. You don’t have to wait a lot. The best part is that it connects to a phone so you don’t have to deal with cords. For many, BAFX Products OBDII Reader is the best car code reader as it offers simple diagnostics. You can check CEL Fault Codes, Air Fuel Ratio, Coolant Temp, Oil Temp, Fuel Pressure, DPF EMP, O2 Sensors, Fuel Trim, Emission Test, etc. Detects overheating issues, sensor problems and engines issues as well. Also, displays result in the form of graphs and can also log data. BAFX also lets you check for a smog test. Doesn’t offer advanced features such as airbag systems, coding etc. BAFX works on all OBD2 protocols. This OBD2 code reader supports Android and Windows phones. Works on 1996 and newer models including some hybrid cars. It works with all OBDII protocols including CAN & J1850 protocols. Other than that, you need to purchase a 3rd party app to use it. Connectivity issues after a few years. Doesn’t come with a guide or manual. Larger size than most scanners (hits the leg sometimes). For DIYers and car owners as this OBD2 code reader offers simple diagnostics. 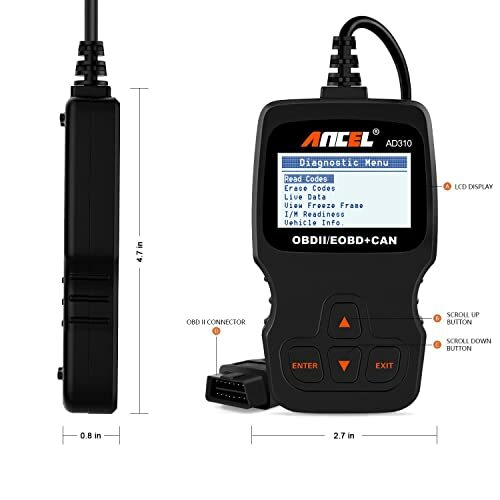 ANCEL AD310 serves as a plug and play device and is the best car code reader for many due to its fast speed. With the AD310, you can Check Engine Light, I/M Monitor Readiness Test, Turn Off the MIL (check engine light) and View Freeze Frame Data. This auto code reader only has four buttons. Two for scrolling, two for entering and exiting. AD310 lets you do a smog test, but doesn’t offer advanced feature such as SRS, Transmission, airbag systems, coding etc. It can’t be operated with a phone and only works on a 12V battery. Supports 1996 and newer US models. Charges directly from the OBD2 connector. The display stays clear sometimes and device needs to be resetted. Connection error in many brands (Nissan, VW, Ford, Subaru). Must be 16 PIN OBD II protocol. ANCEL AD310 is a great tool for reading codes. The car fault code reader is a great tool for DIYers and car owners. Because this OBD2 code reader offers simple diagnostics. However, it is among the best car code readers due to its low price. ANCEL AD410 offers many basic and advanced functions. This wide range of functions makes it one of the best car code readers. 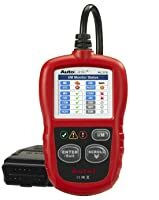 AD410 offers Check Engine Light, I/M, Monitor Readiness Test, Turn Off the MIL (check engine light), View Freeze Frame Data, Pending Codes functions and fixes them, too. It offers some advanced tests include emission, O2 sensor. 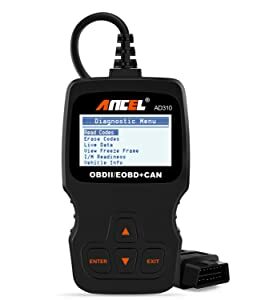 Functions offered by ANCEL AD410 save your trip to the mechanic. It has a 2.4 TFT true color display along with an innovative design. One can operate the scanner without even reading the manual. With AD410, you can do a smog test as well. You can download updates for a lifetime, however, phones aren’t supported. You will need to connect the device to a PC with a cable. This OBD2 code reader can’t be operated with a phone and only works on a 12V battery. Supports all 1996 and newer US models. Meant to work with STM 32 bit CPU, hence high speed performance. Sends feedbacks to ANCEL from the settings option. Customers find the company support to be poor. Used on a 12V battery only. Suitable for car owners and DIYers as this OBD2 code reader allows checking for leaks, O2 sensor readings and other basic functions. 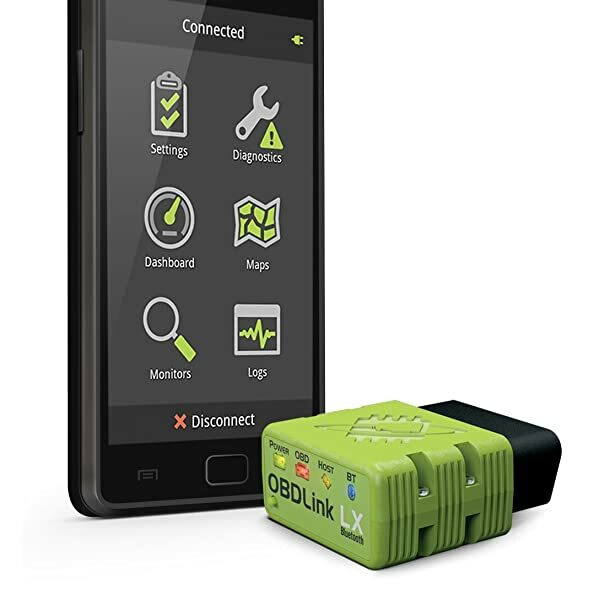 OBDLink LX is 3x faster than conventional devices. If you want a fast OBD2 code reader or scanner, then bring home this one. OBDLink Bluetooth scan tool is 3 times faster than most devices. OBDLink scanner consumes little battery power and there’s also a sleep function that helps in saving energy even when the scanner is plugged in. OBDLink LX Bluetooth has no support for Apple devices yet. Diagnoses and displays CEL and suggests repairs. Also shows graphs, logs, and exports data. Works on a 128-bit data encryption, hence, it is not easy to hack into. 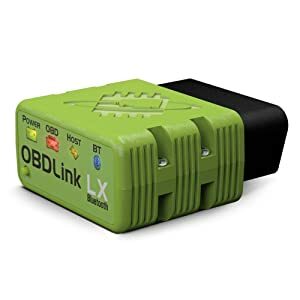 OBDLink scanner comes with overvoltage protection and is also fireproof. Enhances integrated app by 250%, software by 300%. Comes with a 3-year warranty and lifetime free software upgrades. While it is a good device, it doesn’t support Apple devices. OBDLink scanner only works with Android and Windows devices and supports 1996 and newer models. It will also work on small trucks but not hybrid and electric vehicles. Android phones: 2.2 and plus versions. Android Tablet: 2.2.3 and newer versions. It has its own app and also supports all five major OBD protocols. This wide range makes it the best car code reader. Easy to install and use as it only takes 3 minutes to install. Connectivity issues especially due to needing regular updates. A bit bulky (might hit the legs sometimes). Vehicle owners looking for a fast scanner should go for this one. Such diagnostic reader also supports GM and Ford vehicle networks (MS-CAN and SW-CAN). This automotive scanner supports reading and erasing DTCs, I/M Readiness Status, live data stream, turning off Malfunction Indicator Light (MIL) and others. 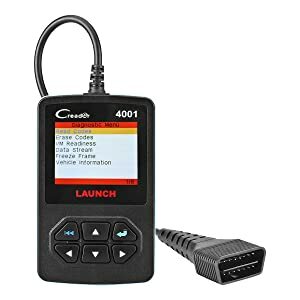 Creader 4001 offers most of the basic functions and a DTC lookup library so that you can read the explanation of any code shown on your OBD2 code reader. 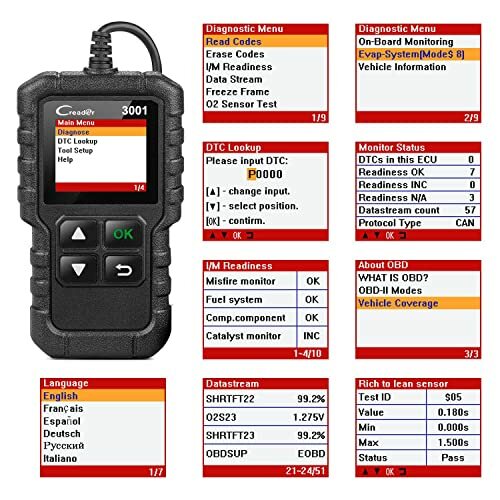 Creader 4001 offers many basic functions such as Reading and Erasing DTCs, I/M Readiness Status, Live Data Stream, Turning Off Malfunction Indicator Light (MIL), Freeze Frame Data, etc. This OBD2 code reader has an ergonomic design and is also very easy and fun to use. You can search for codes on the library to know what they mean. However, it is not phone supported and doesn’t offer any advanced functions such as airbag system, SRS, transmission, coding, etc. This OBD2 code reader is compatible with all 1996 and newer models that are obd2 compatible. Easy to use (6 buttons). Charges when plugged into the DLC socket. Not available for some cars that have JOBD protocol. Launch Creader 4001 with easy-to-use functional hot keys. This simple OBD2 code reader is built for car owners who want to troubleshoot minor issues. They may find it to be the best car code reader. 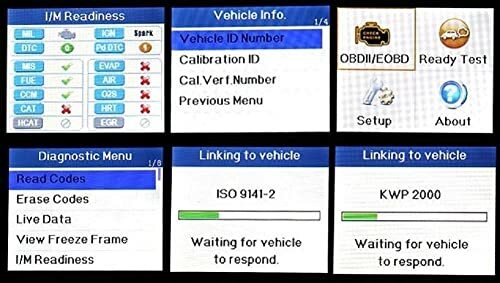 This code reader support OBDII/EOBD protocols,Works on MOST 1996 US-Based, 2000 EU-Based and Asian cars, and newer OBD II & CAN domestic or import vehicles. Supports English, German, French, Spanish, Italian, Russian and Portuguese. You won’t find a better OBD2 code reader than Creader 3001. It offers almost everything except for advanced functions. This is why many consider it to be the best car code reader for basic functions. This OBD2 code reader is compatible with all US 1996 and newer models and supports both OBD II & CAN vehicles. Connects with a 2.5 feet cable, however, can’t be controlled with a phone. Compatible with a wide range of cars. Dust cap design – protection against dust. A perfect fit for car owners and DIYers who want to handle just minor problems. They will find it to be the best car code reader. 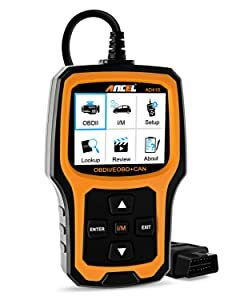 FOXWELL NT201 OBDII EOBD code reader is an essential scan tool which allows DIY mechanics or car owners to verify repairs, checks State Emission Monitor Status and solves basic engine problems quickly and efficiently. Its 2.4” TFT color screen, hot key for I/M readiness test and read/clear DTCs make it deserve the money. 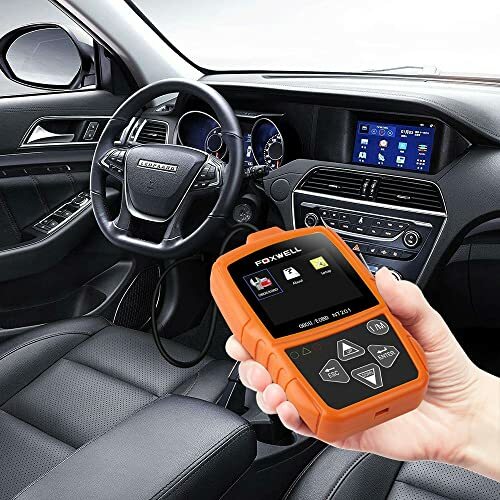 NT201 is far better than many car code readers as it offers almost all the basic functions and supports OND2, EOBD JOBD and CAN cars including trucks, SUVs and minivans also. This makes it the best car code reader for many. FOXWELL NT201 is capable of reading and erasing codes. 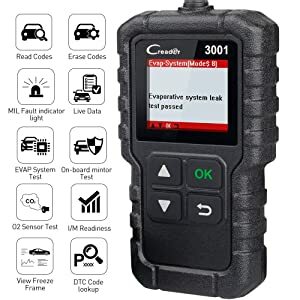 This OBD2 code reader offers a wide range of basic functions including I/M Readiness Status test, Read & Clear DTCs, VINs, DTCs, Freeze Frame Data, O2 Sensor, Evap System Test, CID, CVN, On-board Monitor Test, Smog Test, Turn off MIL (Malfunction Indicator Lights). There are 3 LED indicators. Green light means the vehicle is in good condition. Yellow indicates there’s an issue that has been solved. Red light shows there’s a serious problem and needs help. It’s very easy to use. Connect it to the DLC socket and you’re good to go. There’s a 2.4 TFT color display and also a built-in speaker. It’s among the best car code readers but does not offer advanced functions. Moreover, this OB2 code reader also doesn’t support mobile devices. FOXWELL NT201 OBDII EOBD code reader is a must for car owners. It supports OBD2/EOBD/JOBD & CAN. As for protocols, it supports J1859-41.6, ISO9141, J1850-10.4, CAN, KWP2000 (ISO 14230). It supports all major 1996 and newer car models. Instruction manual is hard to follow (tiny writing). Registration problems on the website. It is a good OBD2 code reader for car owners who can deal with a corded scanner and wish to fix small issues on their own. 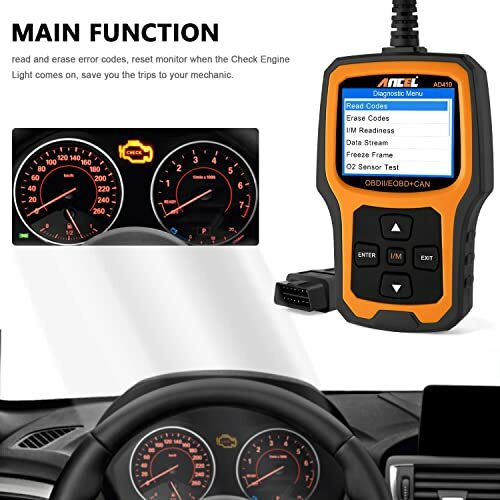 The tool is suitable for check engine light reader and engine code reader with cheap price. Why Do You Need a Code Reader Or Code Scanner For Your Car? To be able to save money and reduce trips to the mechanic. An OBD II scanner understandably offers more solutions. It can be great if you are a professional mechanic or wish to know your car better. An OBD II reader, on the other hand, can only read CEL codes and help you clear some. But it does not provide with fixes. If you don’t want to waste your money by buying a poor code reader/scanner then keep on reading. We tested and made a list of car code readers to help you pick the best check engine code reader. At the end of the day, it totally depends upon the compatibility of your car, what your needs are and how much are you willing to spend. We recommend going for the device which is the best car code reader in all aspects. Just figure out what you need in this review of the 10 best automotive code scanners.